Athletes and runners are always trying to get the most out of their training sessions. To see maximum results from those sessions, you need two things: 1) to have a good workout, and 2) to recover well from that workout. But, making time for recovery can be tough. Luckily, a quick yoga session can not only help you recover from your training run, but it can also help you reduce soreness, build flexibility, and increase mental stamina, too. One of the critical parts of recovering from a run is getting the blood flowing through your muscles. This brings fresh oxygen and nutrients to your muscles to help them repair themselves and get stronger. Increased blood flow also helps remove waste products like broken down cell parts. So, if you really want to up your recovery, increase the blood flow through your legs. There are a number of ways to get your blood moving. You could always go on a slow, gentle recovery run. Really, the purpose of a recovery run is just that—to get more blood flowing through your legs. A recovery run will help you get a little more time on your legs, but that extra time on your legs can actually put you over the edge toward injury in some cases. 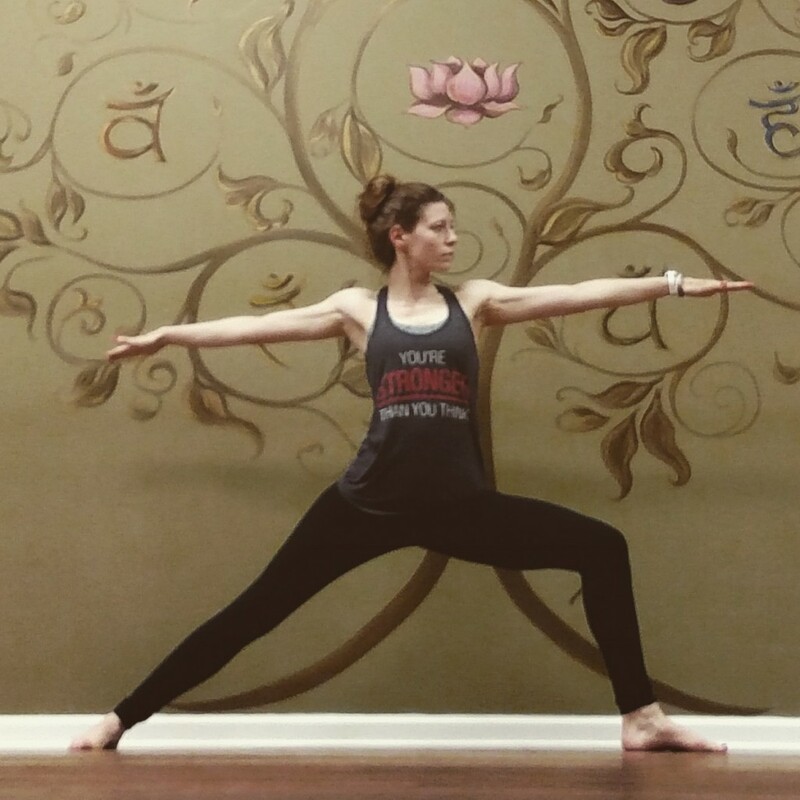 Yoga can be another great way to get blood moving through your muscles. A slow, gentle flow will help move blood through your legs, while being a little less strenuous than a recovery run. If you’ve been logging a lot of miles and your legs are feeling really tired, a short yoga session can be a great alternative to a recovery run. In my opinion, foam rolling followed by some gentle yoga is one of the best ways to recover from a run. During a hard run, you break down your muscle tissue. After your run, that tissue starts to heal, but in some cases that tissue can heal into a muscle adhesion. Not only those adhesions leave you feeling sore and stiff, but as they add up, they can alter your gait and increase your injury risk. Foam rolling is one of the best ways to bust up those adhesions. Follow it with some gentle yoga, and you’ll help work the adhesions out even more, lengthening your muscles and getting blood flowing through them at the same time. You’ll naturally increase your flexibility and decrease soreness by keeping your muscles long and pliable. So what kind of yoga can you do for muscle recovery. Overall, actual recovery yoga can be a great place to start. These poses are less strenuous and can really help you lengthen tight muscles. (Again, you’ll see an even greater effect if you foam roll first.) 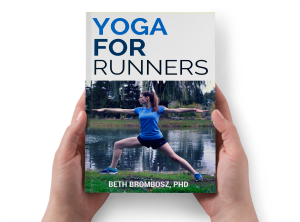 There are some great recovery yoga poses for runners that will help your body recuperate from your training runs. Some stationary poses can be helpful. For example, Legs Up the Wall is a huge favorite among runners because it helps stimulate blood circulation through the legs. As you sit in Legs Up the Wall, blood and lymph drain out of your feet and legs, removing waste with them. Then, when you sit or stand again, fresh blood that’s full of oxygen and nutrients floods your leg muscles. That’s great for recovery. You could also incorporate a gentle flow in your legs to help get the blood flowing. For example, you could begin in Warrior II, then simply straighten your front leg to relieve the tension that builds in the quadriceps. Bend and straighten your leg as you take deep long breaths, straightening on your inhale and bending on your exhale. Be sure to repeat on the other side. Similarly, a gentle Cat and Cow Flow can help you loosen up stiff back and core muscles. On your inhale, gently gaze up and let your navel fall toward your mat as you arch your back. As you exhale, bring your gaze back towards your thighs as you round your spine and pull your navel toward the ceiling. Repeat for as long as this flow feels good to you. You can even gently sway your hips and shoulders side to side to help further loosen tight muscles. If your hamstrings are tight, try a simple flow in a Forward Fold. On your inhale, take a deep bend in your knees. On your exhale, straighten your knees a bit, making the bend less deep. As you continue with this flow, you’ll be able to straighten your knees more and more. Just be careful that you don’t start to feel the stretch up towards your glutes—that’s an easy way to get a (very unfun) high hamstring strain. 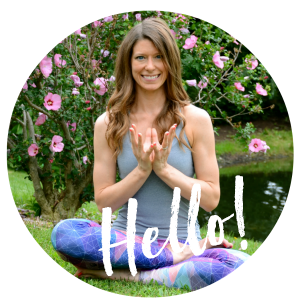 I hope this post has given you some great ideas for how to incorporate yoga into your muscle recovery routine. Feel free to contact me on social with any questions you have! I love a Corepower C1 flow sequence (Sun A + B and then stabilization poses plus dancer and floor twists) in the afternoon after a long run, or the following day. There is nothing that gets me looser!